The property forms part of a purpose built retail warehouse park, providing a total gross internal floor area of approximately 7,438 sq m (80,060 sq ft) in nine, well configured trading unit, together with a dedicated 388 space car park. The available unit benefits from planning consent for the installation of a trading mezzanine floor. Phase I Occupiers are M&S Foodhall, TK Maxx and Pets at Home have all now opened for trade, leaving Unit 4 available. 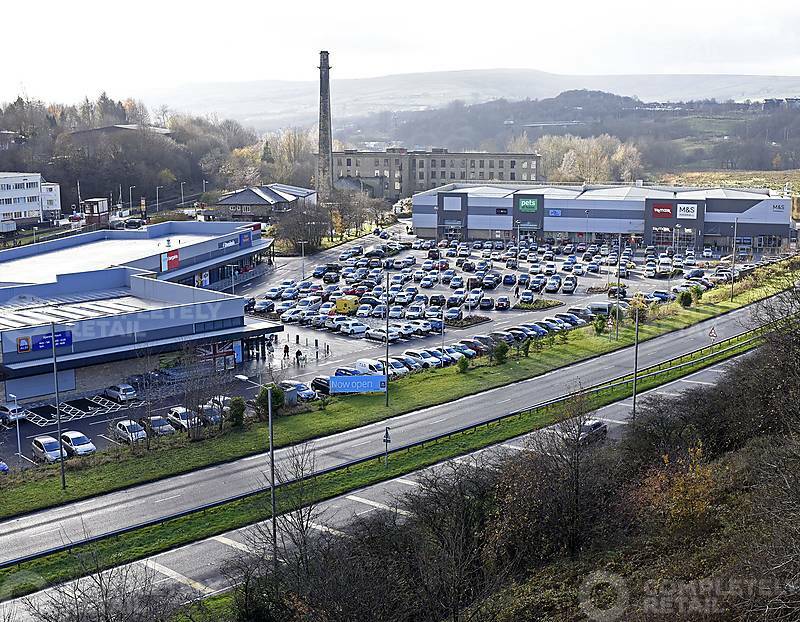 Phase II has recently been completed with occupiers being Aldi, Home Bargains , Costa, Card Factory and Domino’s. New Hall Hey Retail Park occupies a strong and very prominent trading position approximately 700m south of Rawtenstall town centre and immediately adjacent to the A682 bypass, which provides direct access (via the A56 dual carriageway) to the M66 motorway approximately 3.2 km (2 miles) to the south. A1 – Open (Non-food) planning consent. Consent for the installation of a mezzanine floor.